What's Inside The 2017 Emmys Gift Bag? Vacations and dinners and designer luggage, oh my! 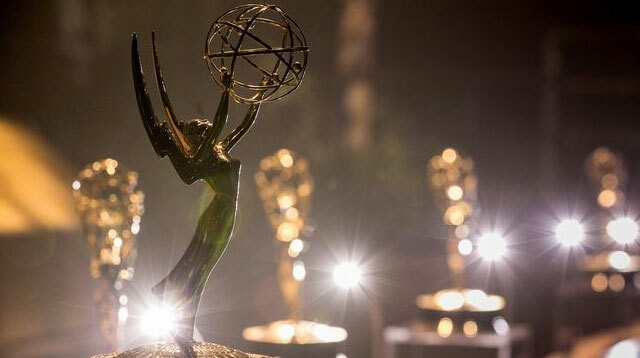 The 69th annual Emmy Awards take place later today, and while a few lucky recipients will go home with Emmy statuettes, all of the presenters and nominees will be offered access to a "Giving Suite" organized by Backstage Creations, which will "help to raise $150,000 in donations to support the Television Academy Foundation." While browsing the suite, presenters and nominees will autograph items to be auctioned at a later date, with funds going toward the Television Academy Foundation, an organization that aims to engage and educate the next generation of television leaders through programs such as internships and college television awards. Kombucha is a slowly fermented beverage made from black or green tea bacteria, sugar, and yeast. These active ingredients help cleanse the body of waste and toxins more efficiently, thus boosting its ability to burn and eliminate fat. ETC is a members club in the seven Catalonia five-star resorts. The Infinity Membership includes five years of membership, five free nights at the Catalonia Royal Bavaro, a couple's massage, personal trainer services, in-room BBQ, and dinner in a "top-class" restaurant outside the resort, along with other services. Italy's most-awarded sparkling wine producer will serve its prestige label, Ferrari Brut Trentodoc, in the suite. "A delicious, high-quality, natural water infused with hydrogen, IZUMIO contains water from the serene countryside of Japan, which is the source of hydrogen that provides antioxidative benefits." "Known as the 'Venice of China,' Suzhou is renowned for its canals impeccable silk, deep cultural roots, and noteworthy architecture. Suzhou Tourism is providing an experimental package that includes a luxurious silk robe from Xiu Niang Silk, one of the most famous silk companies in China, and a two-night stay within a Regency Suite at the prestigious Hyatt Regency Suzhou." A pair of high-end video headphones compatible with 3D Blu-ray players, tablets, console systems, PCs, and mobile phones. "Since 1883, Wolverine celebrates its heritage of shoemaking with a collection of archival-inspired patterns crafted with meticulous attention to detail, premium materials and quality craftsmanship handcrafted in the U.S.A."
A three-night, all-inclusive, integrative wellness stay for two (sharing accommodations) at Canyon Ranch in Tucson, Arizona or Canyon Ranch in Lenox, Massachusetts. "Here we combine modern elegance with steakhouse classics by serving only the best USDA prime steaks, succulent seafood and more from the grill." "SHADOW 3.0 is the first hard-side luggage that opens like a soft-side case." "The leading digital learning resource for children ages two to eight is available on computers, tablets, and smartphones, with more than 8,500 engaging activities. The ABCmouse gift set includes a one-year membership, a DVD with a music video for each letter of the alphabet, and a set of five hardcover books from the ABCmouse Aesop's Fables Series." A graphic knit sweater that's limited to an edition of 200, each sweater is woven-numbered so you know what part of the collection you've received. (For sale to the public beginning September 15). The selection includes instant INTENSITY 30 Second Treatment, radiant ARMOR Heat Protectant Spray, and ALL DAY TAME Smoothing Balm. "This serum-infused clay mask instantly clears pores with activated Charcoal to gently draws out oils and toxins without over-drying. Boosted with powerful skin-balancing probiotics to reveal a fresh, clear complexion." 15 Custom Heavyweight Thank You Cards. "Renowned portraitist G.E. Masana blends photography with painterly touches rivaling the classic look of a timeless painting with this heirloom masterpiece portrait. Following in the tradition of the Great Masters of Art, you'll be treated to a private portrait sitting in Masana's elegantly appointed studio in New York City's charming Hotel Elysée." The Ecrin De Patchi selection includes Patchi chocolates, all of which are free of any additives, preservatives, and are all non-GMO. Simple, healthy recipes for school, work, and home are compiled in this book by Patricia Greenberg, the Fitness Gourmet. "Treat yourself to deep relief from painful, knotted, spasmed muscles. This amazingly simple yet effective self-massager makes it easy to apply pain-relieving deep compression directly to hard, knotted 'trigger points' anywhere they occur–breaking up tension even in the hardest-to-reach muscles between your shoulder blades!" "Make your bed a smart bed with the non-wearable Tomorrow Sleeptracker Monitor and app. Receive daily sleep analytics and personalized coaching, and discover a suite of sleep tools thoughtfully designed for your deepest, most restorative sleep."